Portland Story Theater gives people a place to connect as a community, face to face, eye to eye, and heart to heart. Often, the quiet stories of tenacity and resilience articulate what many of us yearn to hear. 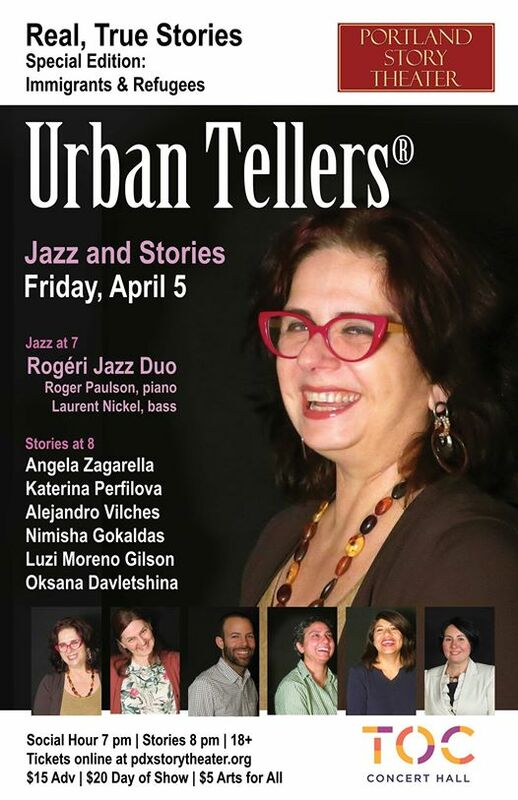 Join them for this month’s Urban Tellers® Special Edition Immigrants & Refugees featuring Oksana Davletshina (Russia), Nimisha Gokaldas (South Africa), Alejandro Vilches (Honduras), Katerina Perfilova (Russia), Luzi Moreno Gilson (Mexico), and Angela Zagarella (Italy). They have discovered and crafted personal stories of real significance — stories about things that have shaped them and made them who they are. Corso di perfezionamento in canto lirico e Master in "Performing Arts Management"